New for 2019: Corsa Speed Graphene 2.0. Tire choice of professional riders for time trials. Winner of all 2018 Tour de France, Giro D'Italia and Vuelta a Espana time trials. Functionalized GRAPHENE 2.0 compound allows for minimal rolling resistance. 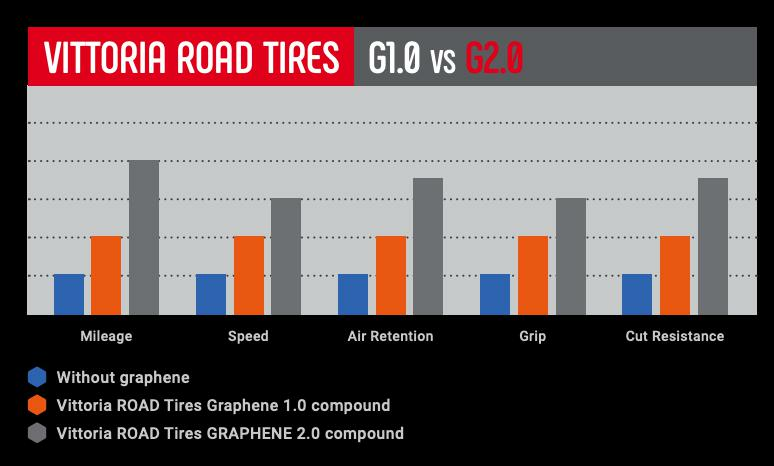 4 compounds in the tread (4C) for increased wear life, better rolling, and better grip on the sides.